Home > Tips & tricks > Do you need to protect your Office 365 data? With Office 365, it’s your data — you control it — and it is your responsibility to protect it. Sync errors (users trying to fix their OneDrive sync). Office 365 does have retention policies, and with some plans, it will retain data for however long you wish based on a data governance / retention policy. With lower plans, if you accidentally delete data and don’t notice, in 93 days time, it will be permanently deleted. 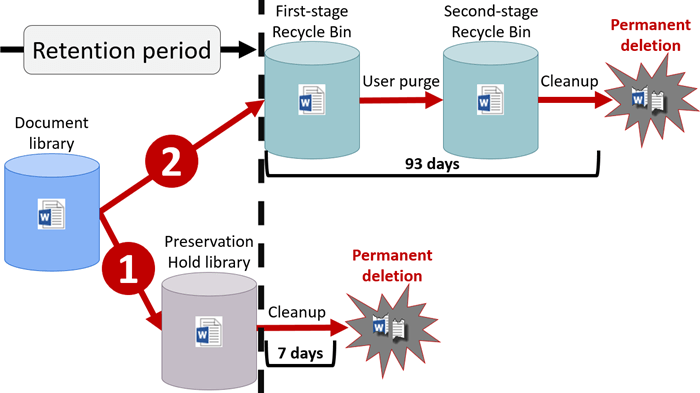 A detailed explanation of Office 365 retention policies can be found here. This can be carried out within Office 365 by using Enterprise level plans, or adding “Plan 2”, which adds in the relevant features for data governance. Subject to the number of users that you have, it may be more economic to use a product outside of 365. There are several products offering backup of Office 365 data to another location, and in Veeam’s case – a location of your choice. If you would like to know more, please talk to us. 01444 241381 opt 1. Veeam Office 365 Backup information and pricing.